Learn MoreTo reduce the administrative and compliance cost of businesses, IRAS will improve the tax-filing process for companies by revising the criteria for Estimated Chargeable Income (ECI). 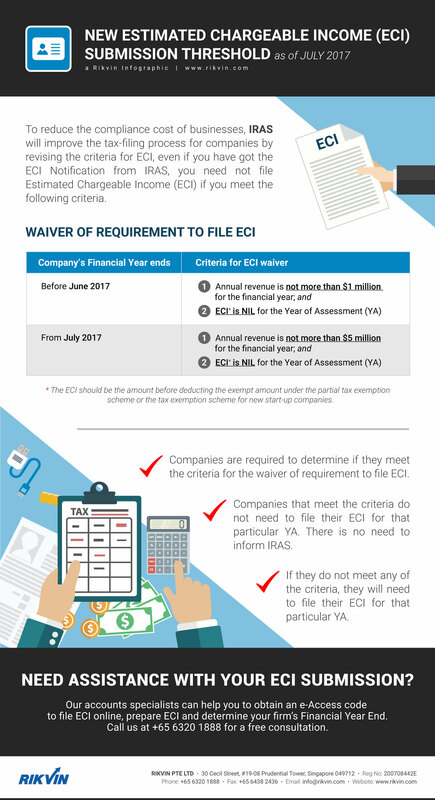 Learn more about the new ECI submission threshold in this infographics. If you need help with filing your ECI, our accounts specialists are ready to help!